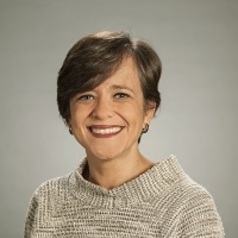 Mila Gascó is the Associate Research Director at the Center for Technology in Government and a Research Associate Professor in the Department of Public Administration and Policy at Rockefeller College. Before joining the University at Albany, Dr. Gascó served as a senior researcher at the Institute of Governance and Public Management (currently known as ESADEgov - Center for Public Governance) and the Institute of Innovation and Knowledge Management, both at ESADE Business & Law School in Spain. Prior to that, she was a senior analyst at the International Institute on Governance of Catalonia and a professor in the Rovira Virgili University and the Pompeu Fabra University, both in Spain. Mila has considerable consulting experience in the areas of information and knowledge society. In this respect, she has worked for a wide variety of organizations such as the United Nations Development Program, the Mayor’s Office in Valencia (Venezuela), the Spanish Agency for International Development Cooperation, the City Council and the Provincial Council of Barcelona, the International Institute for Democracy and Electoral Assistance, the Latin American Centre on Management for Development (for whom she co-developed the Ibero-American Interoperability Framework), the World E-Governments Organization of Cities and Local Governments (she was the leading judge for the WeGo Awards), the Inter-American Development Bank, and Google. Her areas of research are mainly related to information and technology in government, including electronic and open government, e-governance, public sector innovation, smart cities, and public policy evaluation. Dr. Gascó holds a MBA and a PhD in public policy evaluation. She was awarded the Enric Prat de la Riba award for the best PhD thesis on public management and administration, given by the School of Public Administration of Catalonia in Barcelona, Spain.